Design expert and TV personality Kim Myles shares ideas for elevating the home for fall. 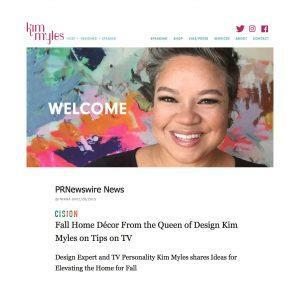 Kim Myles is an interior designer who helps people celebrate their homes with the best products. In her list of this fall’s best recommendations, she looks at floorings and in particular she recommends the new generation of Tarkett’s floorings. Tarkett’s highest quality floorings have passed our strict scientific standards and be CERTIFIED asthma & allergy friendly®.